ChicExecs Secures Grand Trunk on Gear Junkie! 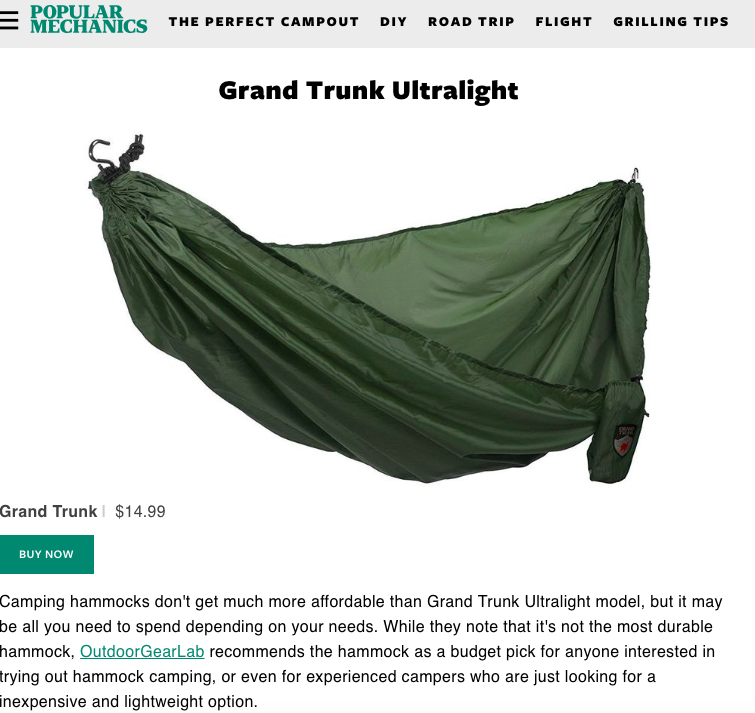 Our latest feature is for our client Grand Trunk on Gear Junkie! Hammocks are fun, and this one is a great choice for kids. It weighs 10 ounces and packs down to about the size of a softball. 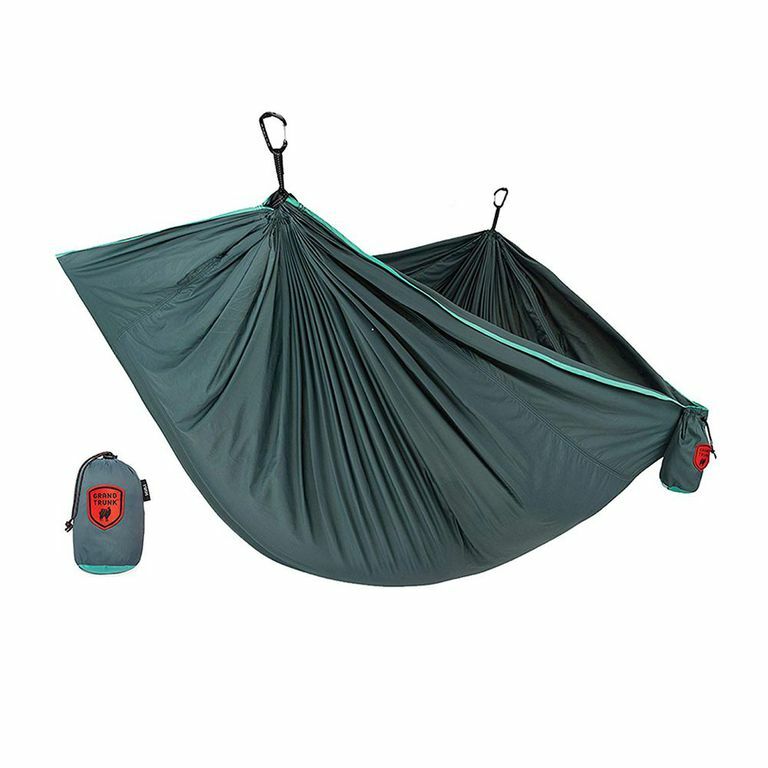 The Ultralight hammock from Grand Trunk is made of a breathable polyester material, so it’s perfect for summer camping and trips to the park. Check out Grand Trunk for a new way to have fun in the outdoors. ChicExecs Secures Grand Trunk on Bustle! Our latest feature is for our client Grand Trunk on Bustle.com! This throw blanket and pillow set makes an ideal gift, since winter’s just about here and it’s the perfect reason to cuddle. The blanket even has a foot pocket, so neither of you should be the least bit cold. 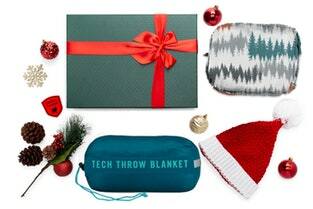 Check out Grand Trunk if your looking to stay warm this winter season. ChicExecs Secures Grand Trunk on Buzzfeed! Our latest feature is for our client Grand Trunk on Buzzfeed.com! Grand Trunk’s Footie blanket keeps you warm and cozy during your cold weather outings. 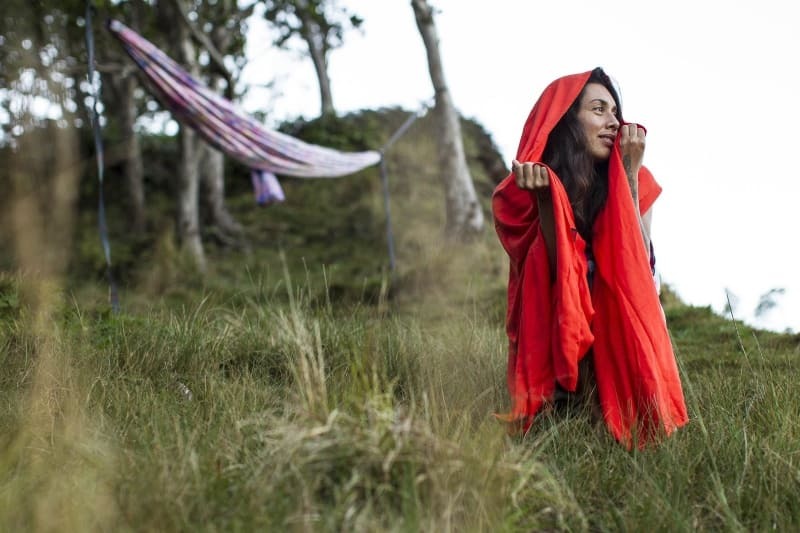 The naturally eco-friendly blanket is the perfect accessory for your next outdoor lounge sesh. Check out Grand Trunk if your looking to stay cozy out in the wild. ChicExecs Secures Grand Trunk on Digg! Our latest feature is for our client Grand Trunk on Digg.com! 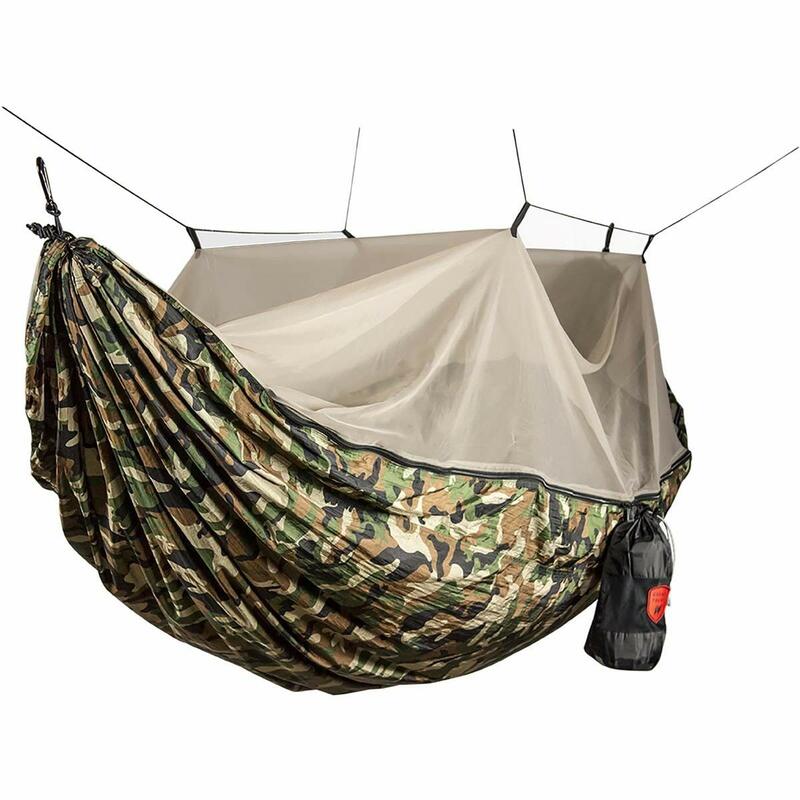 The mosquito net hammock is perfect for those buggy situations, especially when you convince your indoor-lifestyle friends it will be a fun trip. 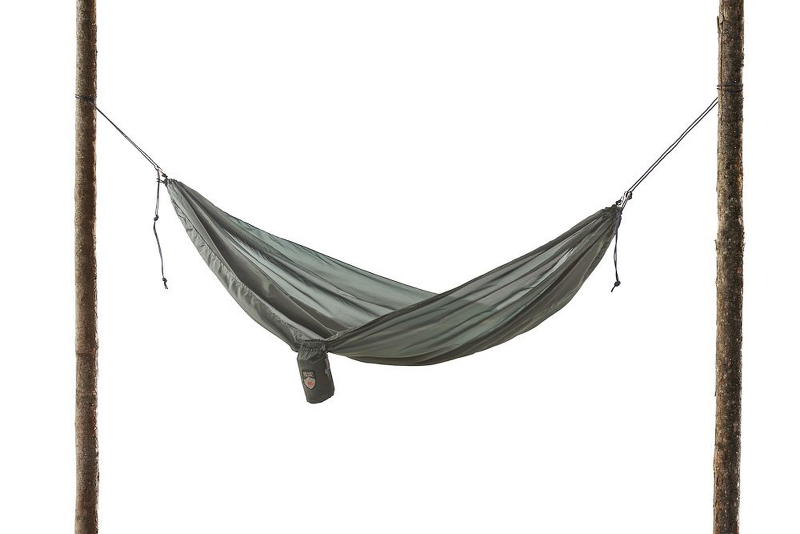 This hammock relies on the same quality materials as parachutes to give you an extra strong hold while remaining ultralight and compact for easy storage and carry. Check out Grand trunk for all your outdoor and adventure needs.